Having practically run out of envelopes with advertising artwork on the front of them from this 1961 collection, I have opted here for one of the most eccentrically addressed envelopes possible. Male or female? My guess is this is the flourish of an old man who spends a lot of time at the club. 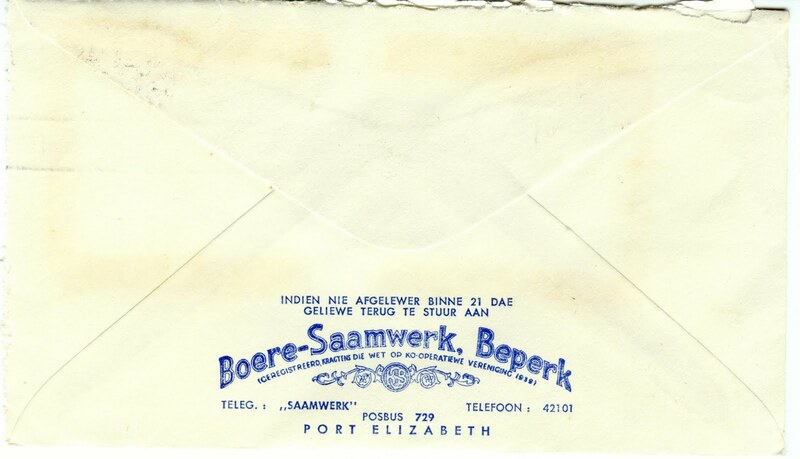 Afrikaners, or Trekboers, were farming in the Algoa Bay area when the British settlers arrived in 1820, but there was apparently a massive influx of Afrikaans-speaking people from the farms after the great depression around 1930. 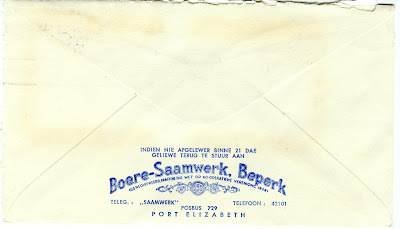 Is the Boere-Saamwerk co-op still going, I wonder? 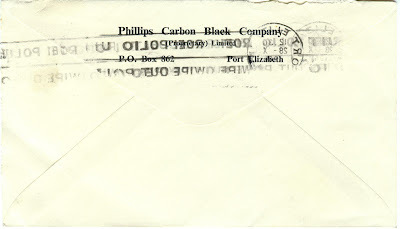 No, the closest I come to in the phone book is Boeremakelaars in North End. But a quick google search reveals that BKB was formed in 1975 following the amalgamation of BSB and two other co-ops. BSB was established in 1920. 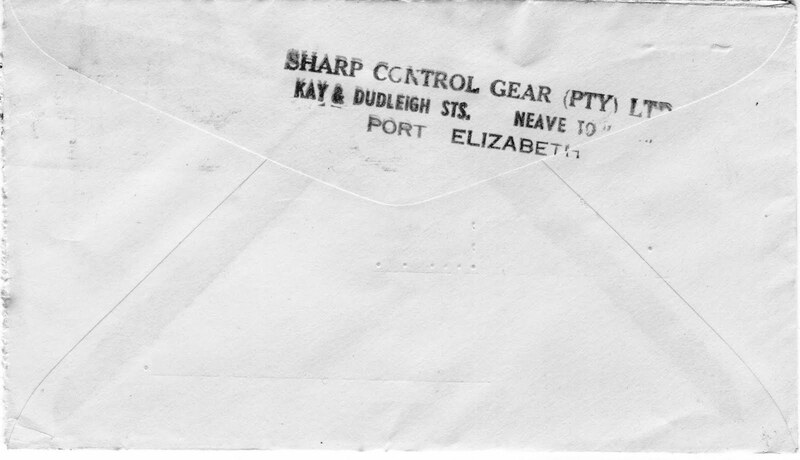 Sharp Control Gear also seems to be no more. 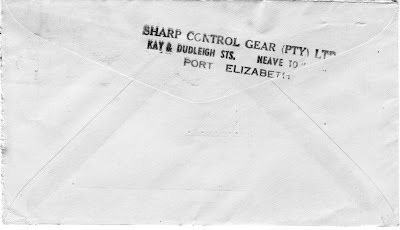 What is control gear? Seems to be some sort of electronic equipment. 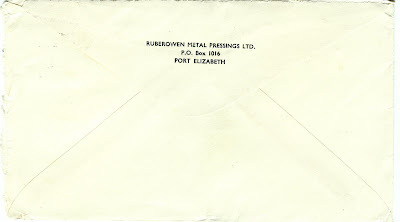 And what of Ruberowen Metal Pressings? No, it's not in the phone book. However, on a website which deals with VW in Uitenhage, there is a big photo of a Beetle wheel with rims made by this firm. 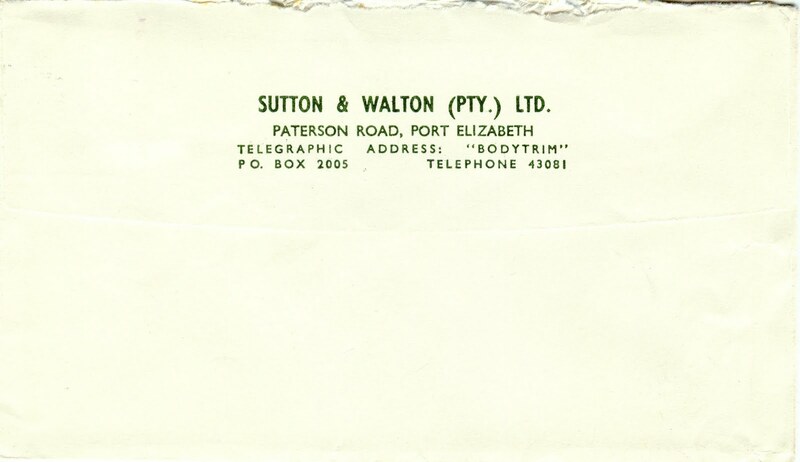 One of SA's oldest banks, which obviously is still with us in PE. But did I not hear that it started in this city? 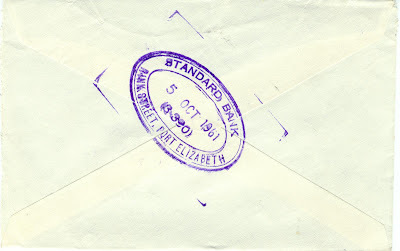 Indeed, Wikipedia tell us that the Standard Bank of British South Africa was formed in London by a group of men in 1862. It started operations in Port Elizabeth the following year. 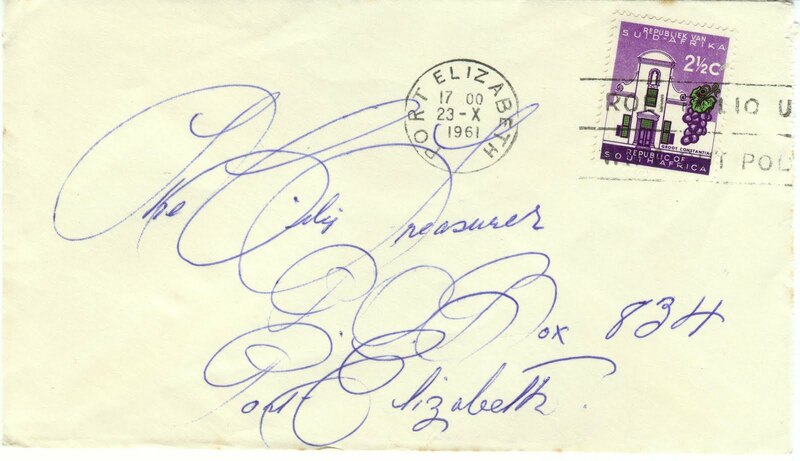 The "British" was later removed from the name. 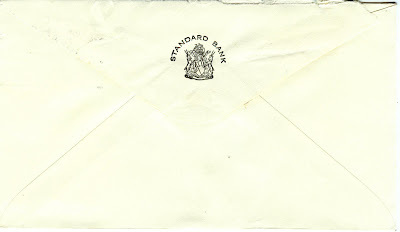 This, from another of the envelopes sent to the City Treasurer, has a nice rugger ball shape. Someone in PE will no doubt remember the City Estate, Finance & Trust Company, but it's no longer in the phone book. Here is a firm that is definitely still around. You can't miss it coming into PE from the East London side. Although the smell one is assailed with is from the nearby Fishwater Flats sewage plant. 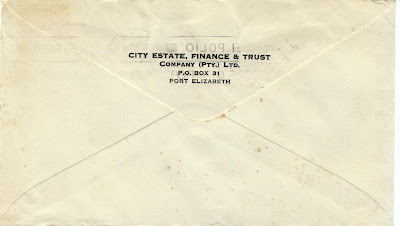 In fact, that's where PE gets its name: Pooey! 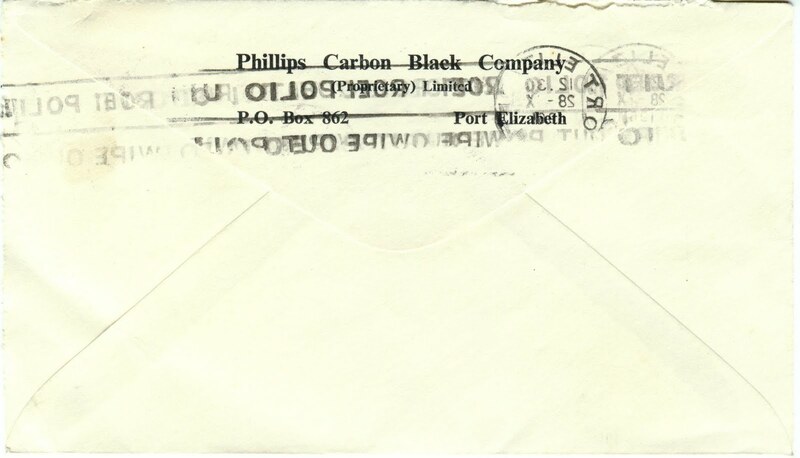 But what is Phillips Carbon Black called today? Because that name is not in the phone book. Of course, a web search shows it changed its name to Algorax in 1986 - that sounds dodgy, like some sort of virus, like anthrax. 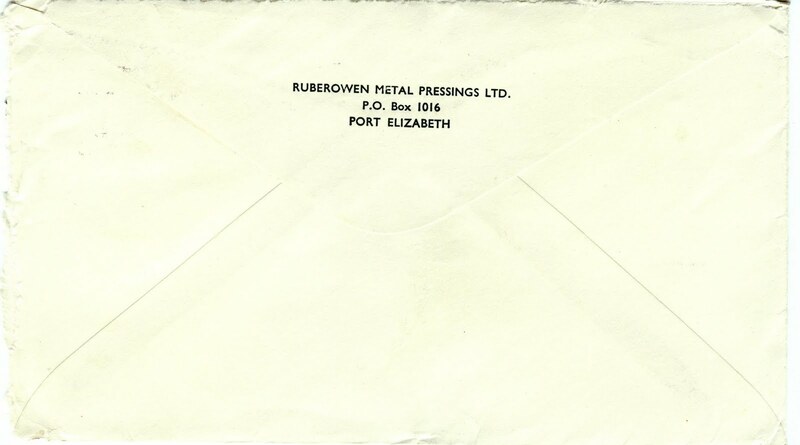 The rubber company was started in PE in 1960, so it hadn't been around long when this cheque was sent. 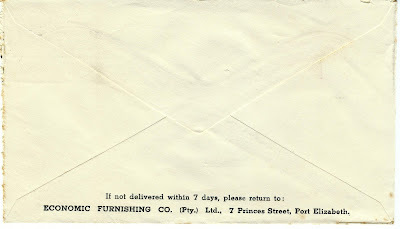 These furniture companies come and go. 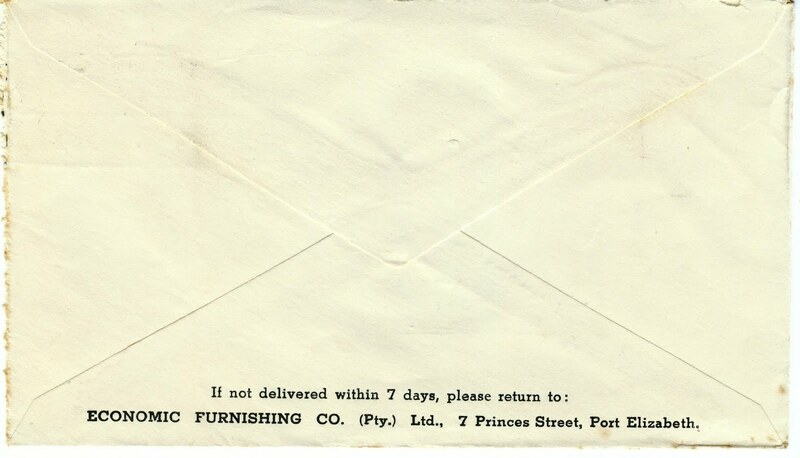 And this one, Economic Furnishing, has gone. 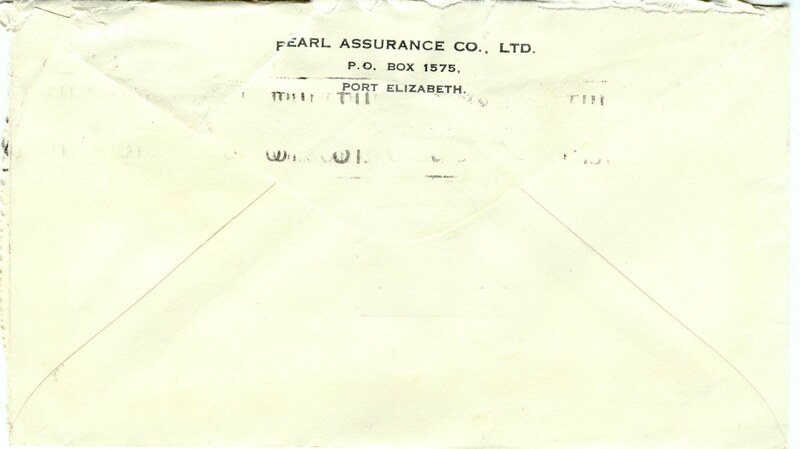 Sadly, the envelope was torn, but this reads Pearl Assurance Co, and it too is no more. Here are two old PE names. But is the firm still with us? Nope. It ain't in the book. 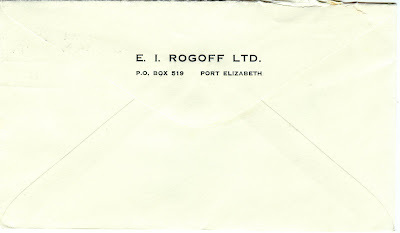 E I Rogoff Ltd is also no more. 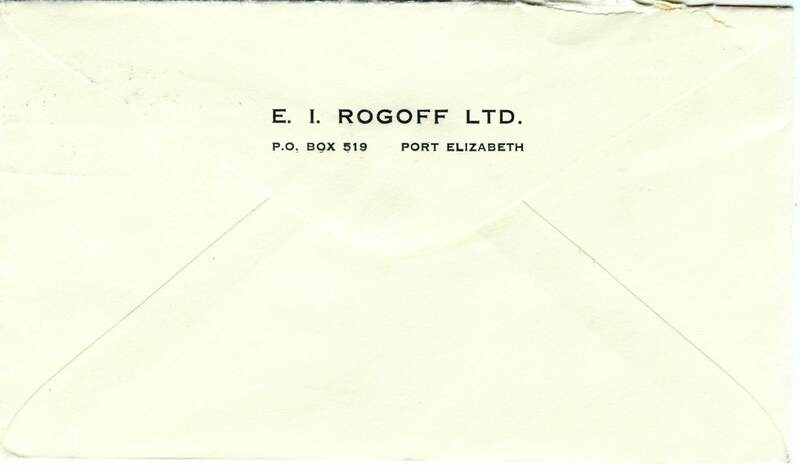 But a google search reveals several, including EI Rogoff Chemicals in Gauteng, which is a pharmaceuticals company. Great post, thanks for sharing. Metal pressing and metal assembly are both important steps in the fabrication of metal products and metal solutions. They are used by many people all around the world and I have to recommend a great company that can provide accurate and reliable metal pressings in Birmingham. They are called JJ Metal Assemblies.